In the Middle Ages many monasteries and other religious foundations were established in Britain and continental Europe by Irish monks — the ‘saints and scholars’ of medieval Ireland. The memory of these missionary monks was subsequently celebrated in elaborate liturgical ceremonies (known as ‘Offices’ or historiae) specially composed for performing on their feast days. The Amra project, led by music historian Dr Ann Buckley at Trinity’s Medieval History Research Centre, is aiming to digitise and make freely available online over 300 manuscripts containing liturgical material associated with some 40 Irish saints which are located in research libraries across Europe. The digital archive, when completed, will also incorporate recordings and performing editions of all the chants and prayers from the original manuscripts, as well as translations of the Latin texts into a number of European languages. In this way, contemporary audiences can enjoy first-hand the devotional songs associated with Irish saints, bringing then out of their slumber after more than half a millennium. The archive will also include a fully searchable database of the chants and chant texts, interactive maps showing the geographical distribution of the cults of Irish saints across Europe, and of the libraries where the manuscripts are now housed. A series of documentary films is also envisaged. The Library of Trinity College Dublin is home to a number of rare manuscripts containing Offices of numerous Irish saints including Saints Patrick, Brigit, Canice, Declan, Ciaran, Finian, Laurence O’Toole, some of them with music notation. 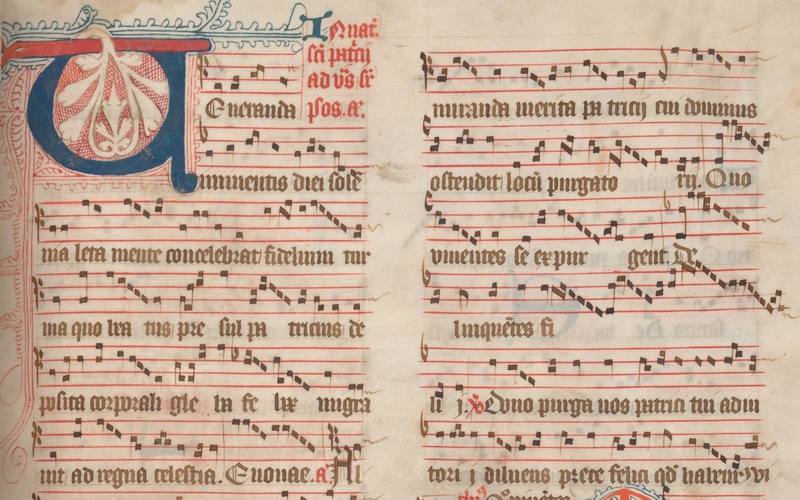 Manuscripts abroad are far more extensive in number and variety, and taken all together, this material can enable matching of texts to music so that chant texts without musical notation in certain sources can be restored and performed again. These manuscripts are an important resource not only for specialists such as musicologists and liturgists, but also for anyone interested in the history and dissemination of the cults of saints, and the changing social and political contexts of their promotion, according to Dr Buckley. Much of what we know about Irish saints nowadays is drawn from hagiographic collection — anthologies of saints’ lives. Yet, liturgical texts (chants, hymns, prayers and sacred readings) are also a valuable but much overlooked source for fresh understanding of the history and dissemination of the cults of saints – St Patrick included. For example, the various manuscripts containing chants and prayers associated with St Patrick allow us to track the development of his Irish Office from its earliest surviving source in the 13th century into an increasingly elaborate celebration over time. According to Dr Buckley, “No other Irish saint is represented so extensively or with such variety in medieval liturgical sources. As well as different versions of St Patrick’s office in manuscripts from Dublin, Armagh, Kilkenny and elsewhere, there are also individual hymns and sequences for Patrick in other Trinity manuscripts, as well as Marsh’s Library Dublin, the Bodleian Library Oxford, Cambridge University Library, and the British Library in London – which were originally used throughout the Dublin Diocese; and another office has been found in the Vienna Schottenkloster dating from the time of its foundation by Irish Benedictines monks in the twelfth century”. Dr Buckley has been working on these materials for over fifteen years. Initially, she was assisted by funding from the Irish Research Council, which enabled her to visit libraries in the UK and many parts of the Continent to study and acquire copies of the original manuscripts. The next stage of the project will involve the development of a digital archive which will make these lost melodies available to wider audiences, and will help researchers shed new light on the lives and history of Irish saints and on their cultural impact over many centuries.